It has been a really strange winter for us since we haven’t been skiing, due to lack of snow. Now that winter is more than half over we have been finding ourselves a little bored and needing things to do. We decided to be tourists in our own city and spend some time on the weekends exploring some of the parts of Seattle that we don’t get to very often. 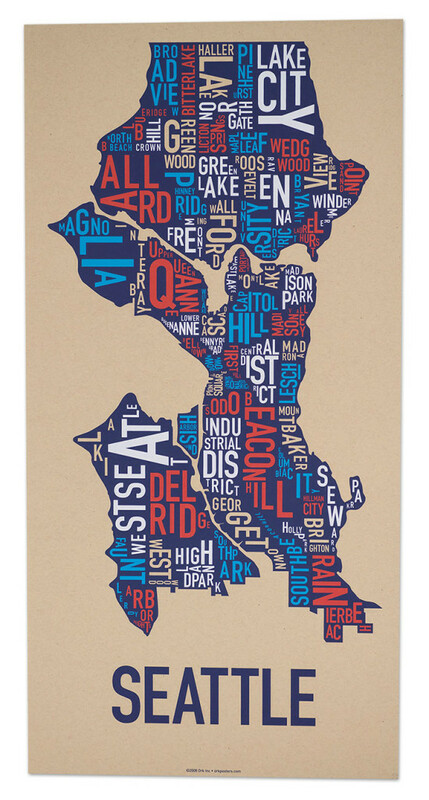 Like most big cities, Seattle is a city full of diverse, unique neighborhoods. I think that the neighborhoods are what define Seattle, and probably most cities, and make the residents feel like they’re more connected. We live in the Madrona neighborhood, which is straight east of downtown about 10 minutes. Our neighborhood is quaint and adorable. It really feels like we live in a small town because our neighborhood is so tight knit. But then you realize we have 8 feet between our house and our next door neighbor’s and you remember we live in a city. There are so many neighborhoods with their own individual charm, so I hope we can plan some fun weekends around the city. 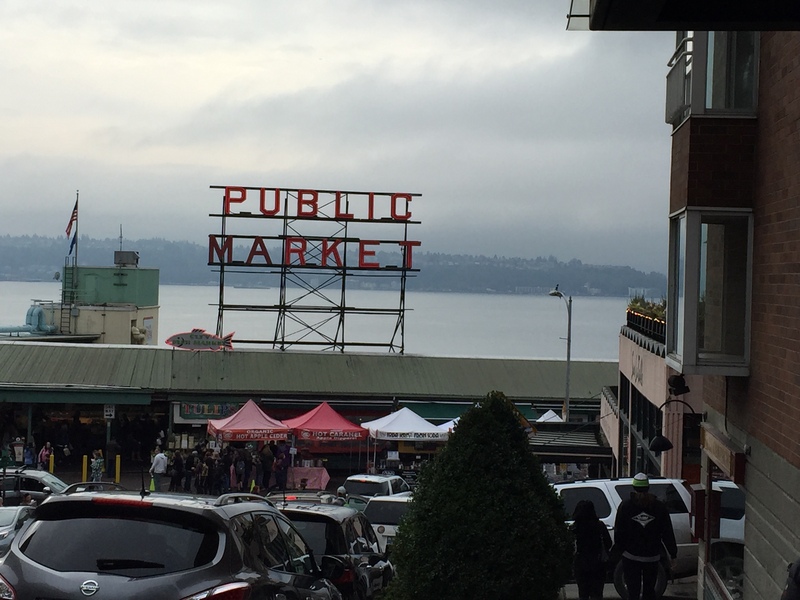 Last weekend we headed downtown for an afternoon of strolling through Pike Place Market and hanging out at the flagship Nordstrom. 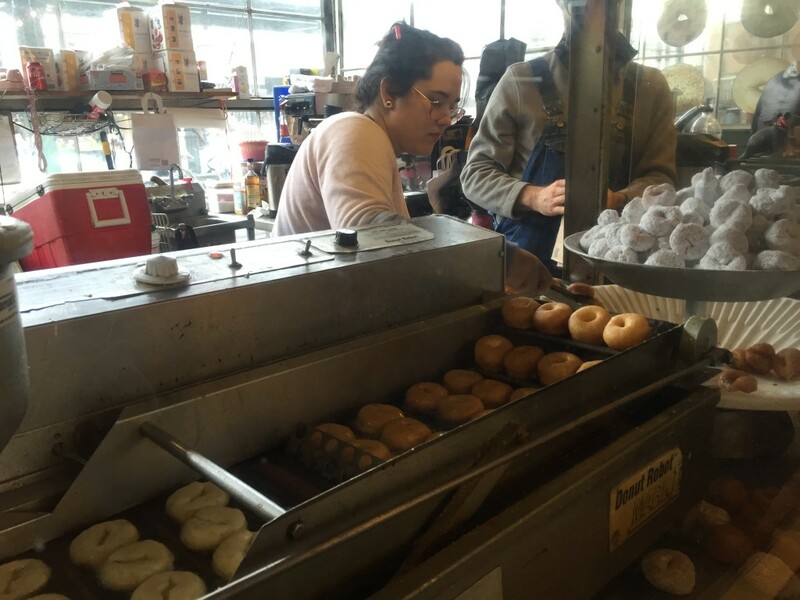 There are so many hidden gems in Pike Place Market. Just walking on through is fun in itself, but stopping at the various shops and stands is quite an experience. 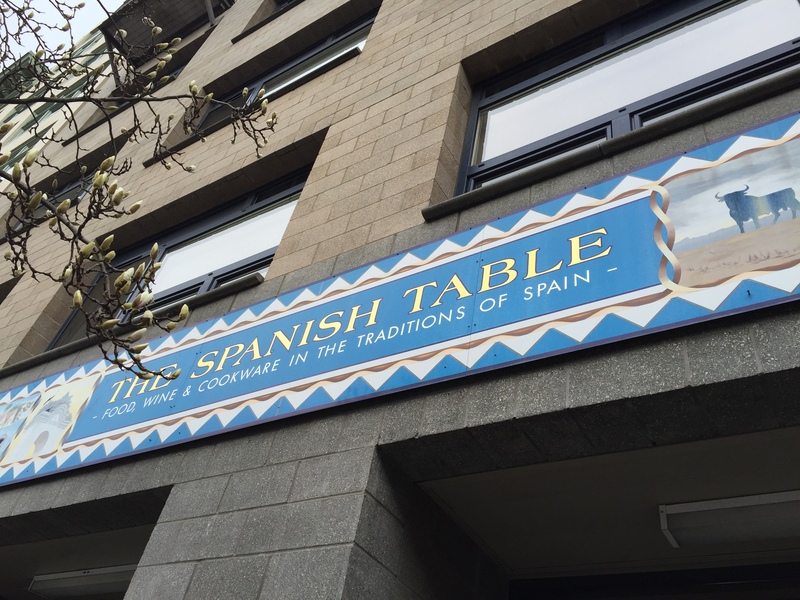 Our first stop was the Spanish Table, a Spanish shop that we had never been to before. 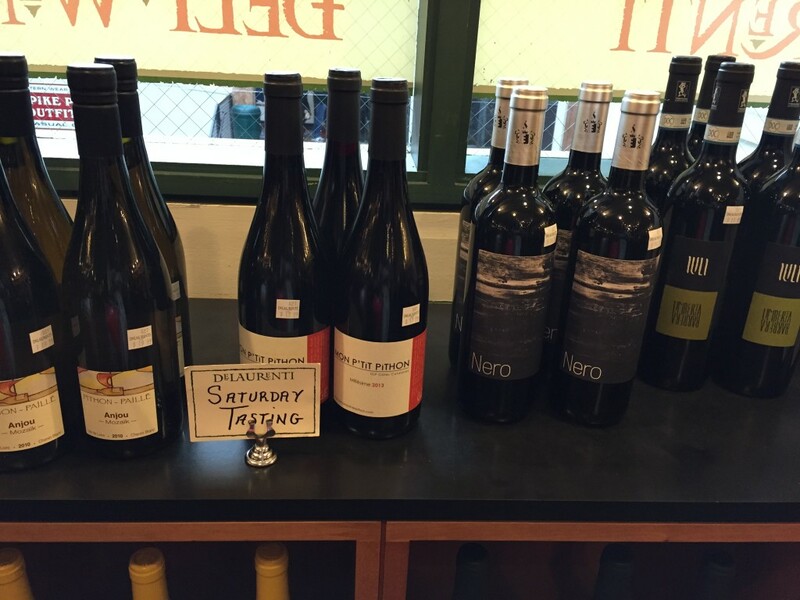 We perused the aisles and ended up finding some wine that we had enjoyed in Spain last summer while on our Priorat wine tour. That was a fun find! From here we went to refuel on mini donuts. There is a really tasty donut stand that typically has a line 20 people long that we decided to stop at. 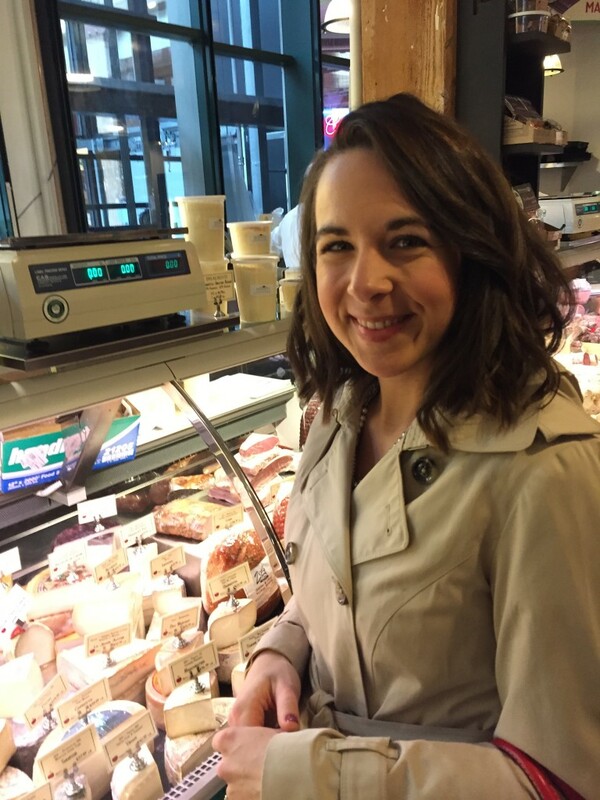 One of my absolute favorite shops in the market is DeLaurenti, an Italian specialty store. 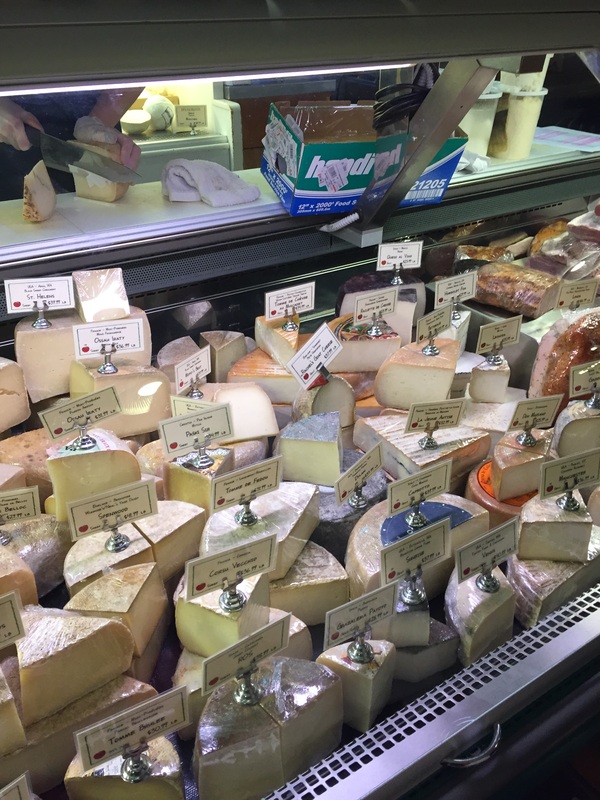 They have a huge fine cheese and meat counter and their staff is extremely knowledgeable, friendly and helpful. We picked up a few cheeses and meats to take over to the Millers house that night. DeLaurenti was having a little wine and cheese tasting event while we were there so we had to stop and check it out. After our time at DeLaurenti, Alex’s tolerance for people and crowds was wearing thin, so I picked up a couple bouquets of flowers and we headed to Nordstrom to do a quick run-through. We had initially hoped that our day would wrap up at Kerry Park, an iconic green space that overlooks the city, but it was so overcast that we decided to skip it. Hopefully Kerry Park will be on one of our next weekend dates with our city! This entry was posted in Fun, Life and tagged seattle, weekend on February 4, 2015 by Alison Allen.